Officer Paddy Murphy was a regular stereotype of a doughnut munching American police officer until an incident involving a hot dog stand, two retired ladies and a prize-winning bull left him with only a head and one hand. Through some incredible science stuff, Murphy’s name was rescued from the blaze and brought back to life as a sort of vending machine with an automatic firearm. Fast forward twelve years and they’re already making pointless new versions of his life story. 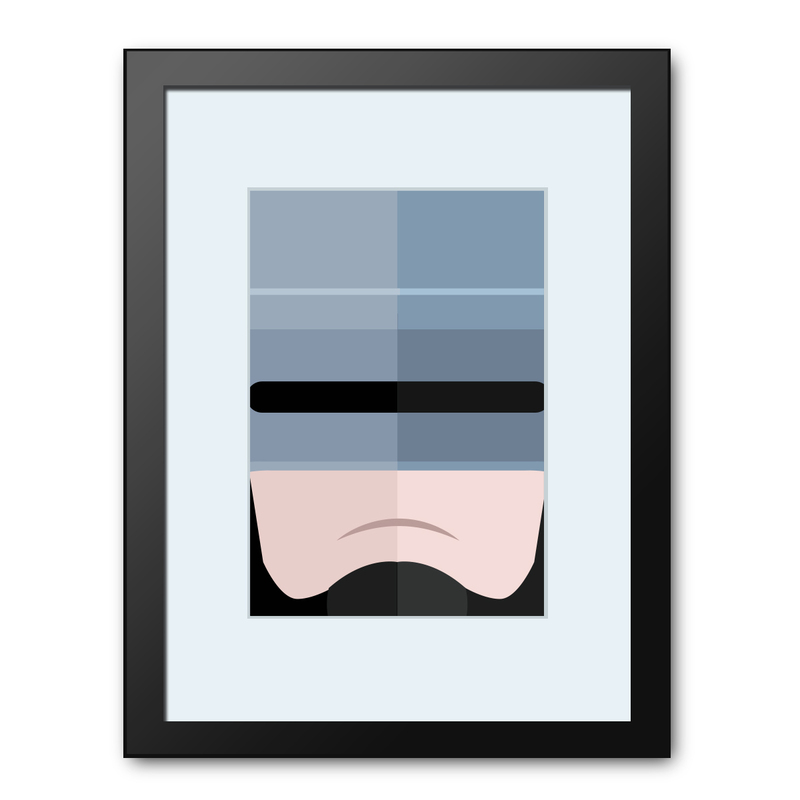 Commissioned by Omnicorp in 1988 to celebrate the launch of their cyborg policeman, these stunning limited edition (of 49) gallery standard artwork printed in Giclée inks onto high quality archive paper, mounted and framed in a 12 x 16″ black wooden frame. All of our designs are exclusive to us and you won't find them anywhere else. Our art prints are printed in stunning long-lasting inks onto high quality, heavyweight paper and shipped to you flat in a reinforced envelope. Please note prints are supplied unframed - frames shown are for illustrative purposes only.